The part of the eye that is responsible for seeing detail and colour and allows us to read, is called the macula. It contains a yellow, oily substance known as macular pigment (MP). Because of the vast number of photoreceptors in the region (approximately 200,000/mm2) the macular is metabolically highly active. In some older eyes the macula atrophies and becomes disorganised, a condition called Age-Related Macular Degeneration (ARMD). MP is thought to provide some protection against ARMD, partly because it absorbs harmful short wave-length light and partly because it has powerful anti-oxidant properties and therefore acts as a scavenger for the by-products of cellular metabolism. MP is composed of the carotenoids lutein (L) and zeaxanthin (Z). Some foods contain antioxidants. Examples are kale, corn, spinach, maize and egg yolk. MP is entirely of dietary origin and it can be substantially enhanced by following a diet that contains one of these foods. 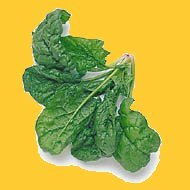 In this research project individuals with mild ARMD will follow a strict spinach-rich diet and their vision will be tested before and during the diet. We will be able to establish whether MP increases in their eyes using a special new test for MP developed at Manchester University. AIM 1 To measure visual performance in subjects with mild ARMD who are following a spinach- enriched diet. AIM 2 To publicise the beneficial effects of eating spinach and following a healthy life style in a BBC science documentary called ‘The Truth About Food’. If we are to assess the benefits of taking spinach we must conduct some careful tests on the eyes. These are listed below. None of the tests are invasive or in any way painful. The tests will be conducted before the spinach diet begins and then repeated up to six times in the following six months. TEST 5 Macular Pigment measurement.